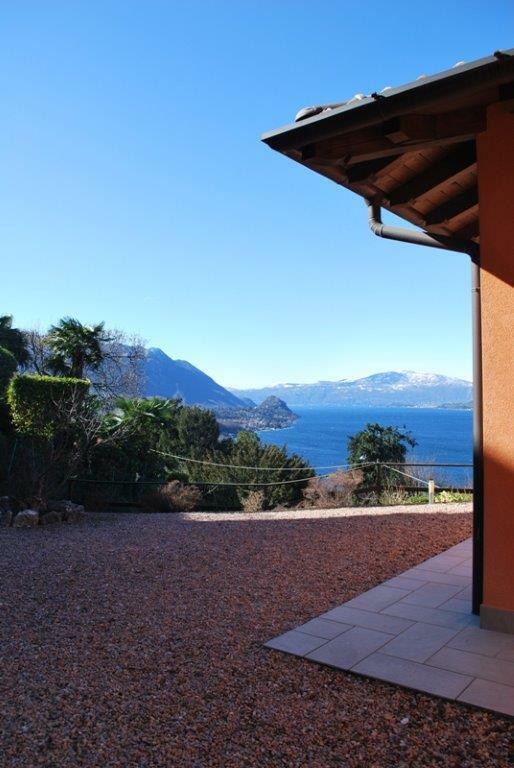 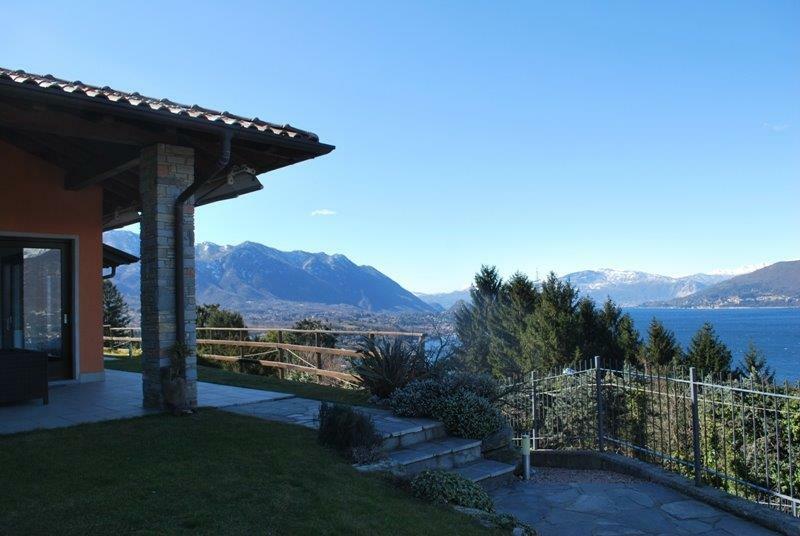 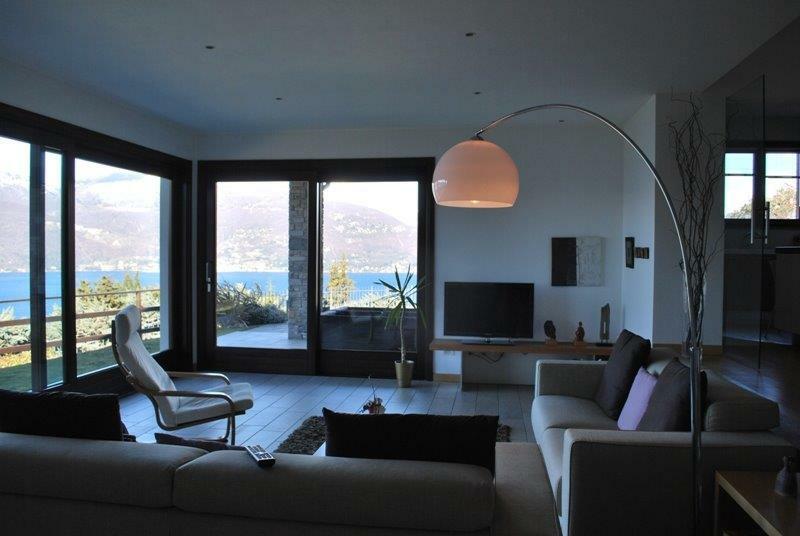 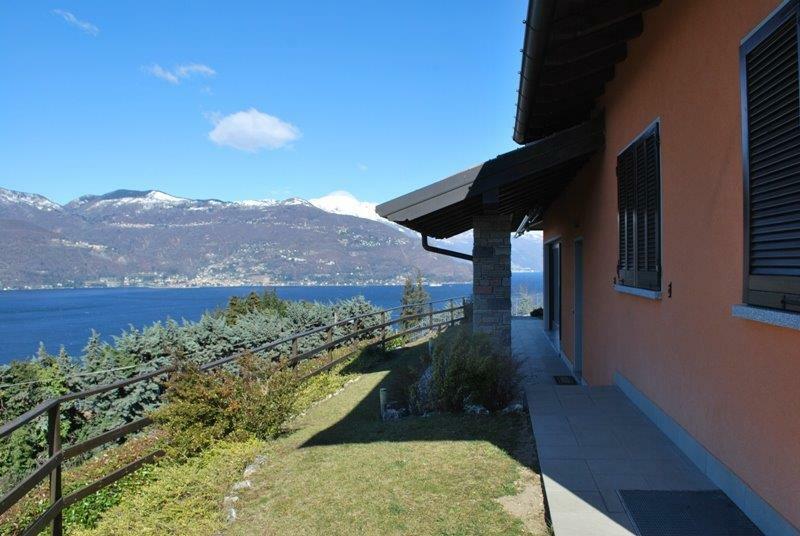 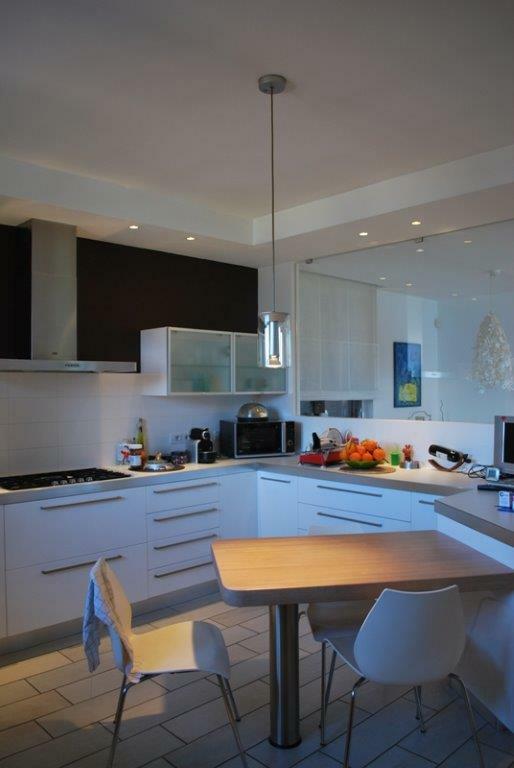 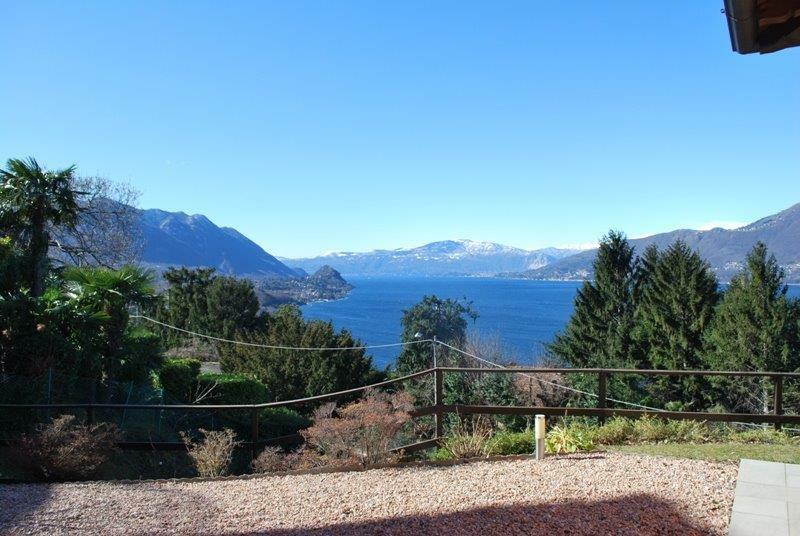 Lake Maggiore, 300 sqm villa, on a small promotory with spectacular 180 degree views overlooking Lake Maggiore. 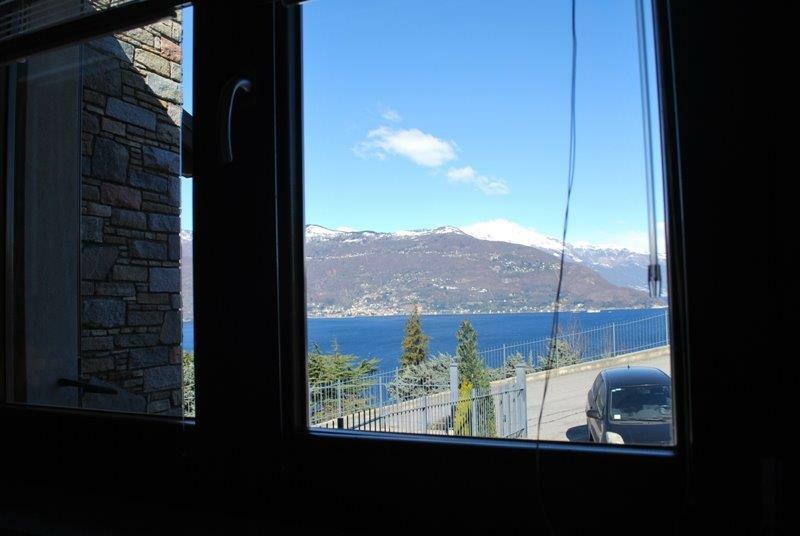 Brezzo di Bredero, Luino. 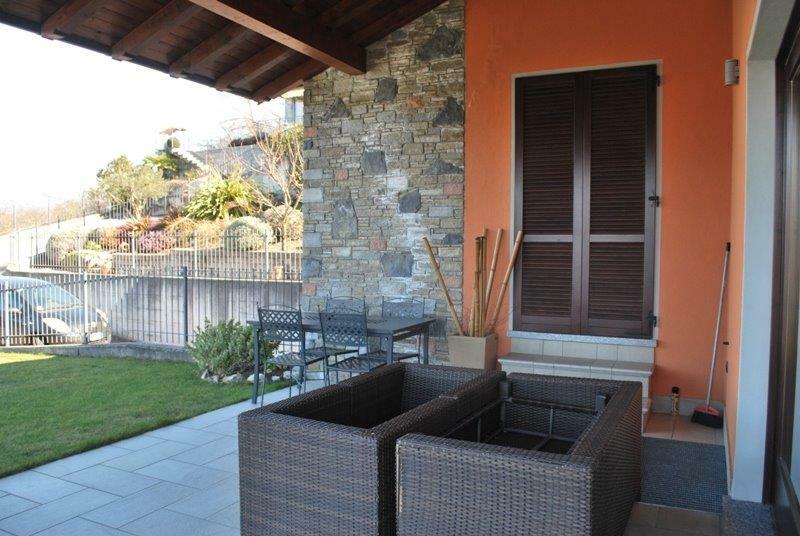 The villa is laid out over one floor together with a lower ground floor consisting of a large garage, laundry service area, and shower room. 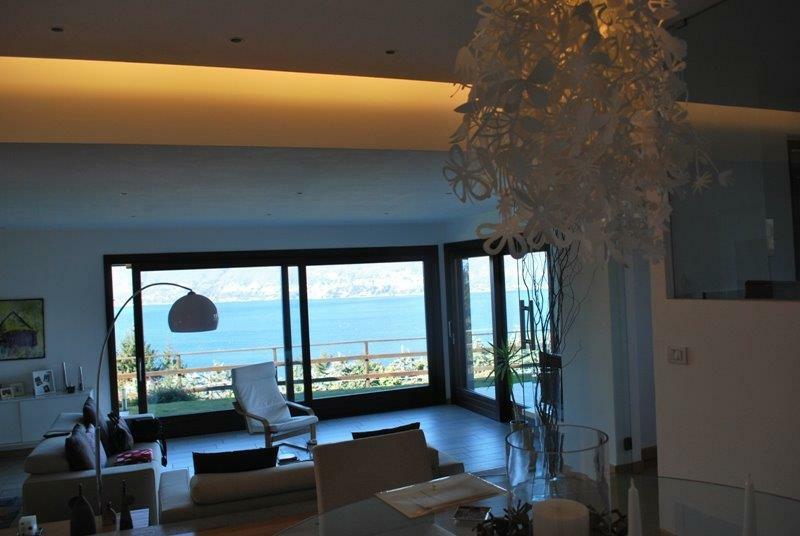 There is also a large room which could be used as a fitness gym / area. 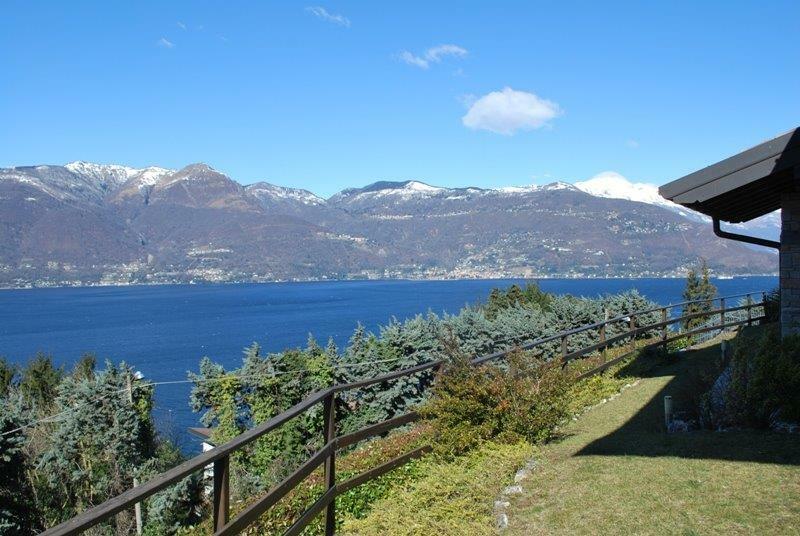 The ground and main floor has a wonderful lounge with large picture windows overlooking the lake, a raised dining area and large well-appointed kitchen with bay windows which also overlook the lake. 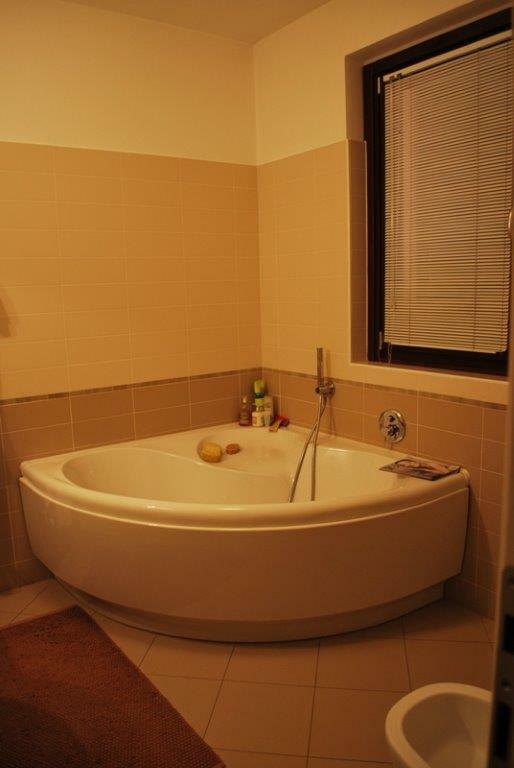 There are 2 double bedrooms with en-suite bathrooms and walk-in closets, and a single bedroom with bathroom. 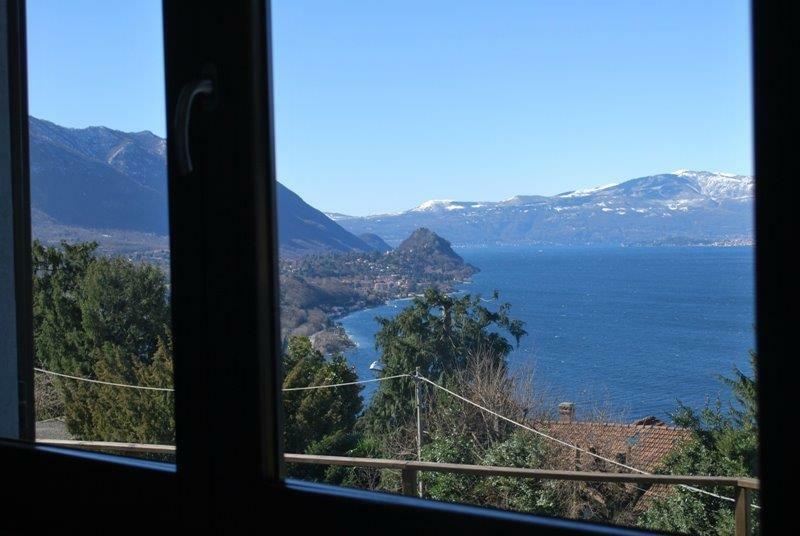 All rooms have views of the lake. 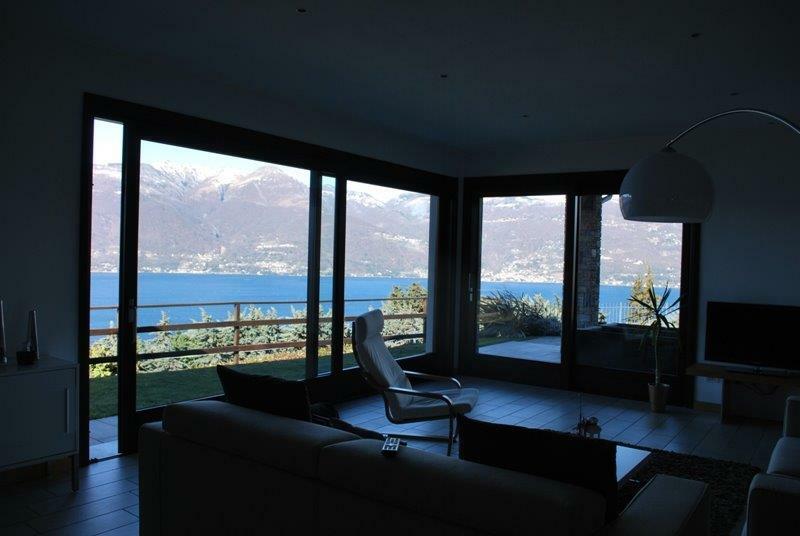 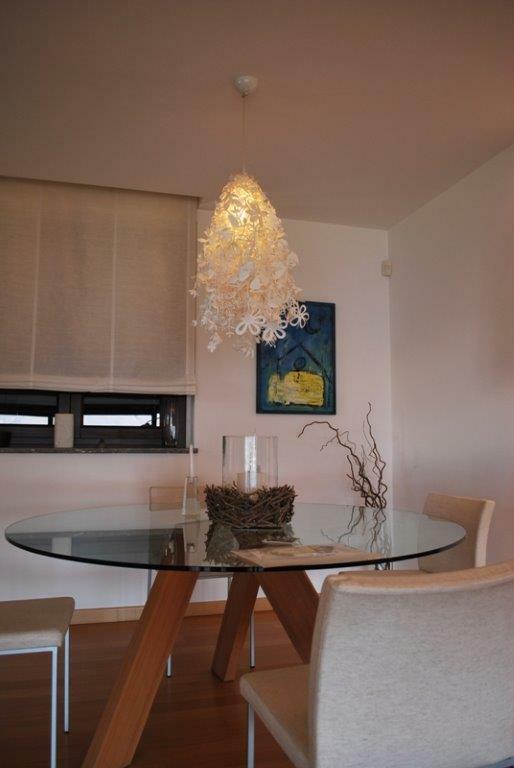 There is very good quality parquet flooring throughout the house with under floor heating and a security alarm system.